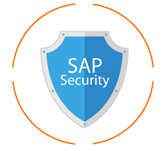 SAP Security is availed to protect SAP Systems and Critical Information from Unauthorized Access in a Distributed Environment while accessing the system locally or remotely. It contains various Authentication Methods, Database Security, Network and Communication Security and protecting standard users and other best practices that should be followed in maintaining your SAP Environment. In a SAP Distributed Environment, it is necessary and essential to protect ryour critical information and data from unauthorized access. There can be human Errors, Incorrect Access Provisioning that shouldn’t allow unauthorized access to system and it is very important to maintain and review the profile policies and system security policies in your SAP environment. This tutorial is suitable and worthy for those professionals who have a good understanding about SAP Basis tasks and a basic understanding of the system security. After completing this tutorial, one will find oneself at a moderate level of expertise in implementing the security concepts in a SAP system. Before you start with this tutorial, we assume that you are well-versed with SAP Basis activities – User Creations, Password Management, and RFC’s. In addition, you should have a basic understanding of security terms in the Window and UNIX environment.